Contact center management is equal parts art and science. The art is knowing how to relate to people and motivate them. The science is knowing how to accurately forecast, how to read the metrics and how to use the systems deployed in your contact center. Today I’ll focus on the science side of the equation. It is important to look to the past to plan for the future. To maximize efficiencies and to provide good customer service look to your historical call volume, chat volume and email volume during similar time periods to determine the probable amount of contacts you will receive not only on a given day, but most importantly during the peak time of each day. QCS drills down with “Deep Dives” into the data. With a great data team, you can get great forecasting! Knowing what your specific goals are and making sure your frontline contact center agents are capable of achieving those goals is the basis of maintaining good contact management. QCS uses metrics provided by our clients, including average handle time, average after-call work time, average utilization and sales metrics like revenue per hour. Then we train the frontline team to ensure everyone knows the goals and what is expected, ensuring that we meet those metrics. When we achieve the goals, we know this will decrease customer frustration and keep costs down for our clients. QCS ensures solid contact management for our clients by providing the latest and greatest in systems. We can see callers in the inbound queue, how many are holding, how long they are holding, agents on calls and agents available. We have the ability to maximize ROI by providing blended seats, keeping reps busy on outbound programs while having them available in a moment’s notice to quickly capture those spikes in inbound, chat or email volume. Ben Franklin said that “By failing to prepare, you are preparing to fail.” Preparation is key to managing inbound contacts. From forecasting, to monitoring key metrics, to scheduling to the systems we use, it’s all in the planning. Let QCS plan for you and handle the details. Quality Contact Solutions has the best team around. 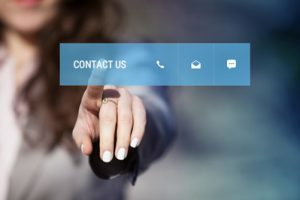 We know how to meet your Contact Management Services needs. If you’re looking for a team that has the ability to meet metrics and provide a great experience for your customers, give us a call at 1-866-936-2889. Or email me at [email protected] We’ll take care of the planning! Marcia Jenkins is the Senior Operations Manager for Quality Contact Solutions. Prior to joining Quality Contact Solutions, Marcia was a sought- after 10-year call center veteran with the ability to manage and sell. Marcia is responsible for the day to day operations for the At Home Division. QCS At Home is a work-from-home telemarketing and call center solution focused on business to business outbound telemarketing, test-bed projects and special programs which are typically not well-suited for the traditional brick and mortar call centers. This entry was posted in Articles, Favorites and tagged Contact Management Services, Inbound Call Center, Inbound Telemarketing Services, Industries, Telemarketing Services on January 11, 2018 by .